LEXINGTON, KY (Sept. 25, 2017) – WinStar Farm’s American Patriot, winner of this spring’s Maker’s 46 Mile (G1) at Keeneland, and two-time Grade 1 winner Divisidero headline the list of horses nominated to Keeneland’s Fall Stars Weekend on Oct. 6-8, the opening weekend of the 17-day Fall Meet that runs through Oct. 28. Fall Stars Weekend features nine graded stakes worth $3.75 million. Five of those races are Grade 1 events and eight races are “Win and You’re In” contests for the Breeders’ Cup World Championships at Del Mar on Nov. 3-4. The 32nd running of the $1 million Shadwell Turf Mile (G1), for 3-year-olds and up and a Win and You’re In race for the $2 million Breeders’ Cup Mile (G1), drew 35 nominations and will be run Saturday, Oct. 7. Among the nominations are American Patriot and Divisidero. Trained by Todd Pletcher, American Patriot could join Miss Temple City (2016) and Wise Dan (2014) as the only horses to win the Maker’s 46 Mile and Shadwell Turf Mile in the same year. Divisidero, trained by Buff Bradley, has won the past two runnings of the Woodford Reserve Turf Classic (G1) at Churchill Downs. Among the other Shadwell Turf Mile nominees are multiple graded stakes winner Heart to Heart, runner-up to American Patriot in the Maker’s 46 Mile, and the talented Aidan O’Brien-trained duo of Deauville (IRE) and Lancaster Bomber. Miss Temple City also is nominated to the 20th running of the $400,000 First Lady (G1) for fillies and mares going a mile on the turf and also scheduled for Oct. 7. The First Lady, to be contested for the first time as a Win and You’re In race for the $2 million Breeders’ Cup Filly and Mare Turf (G1), drew 26 nominations, including multiple Grade 1 winner Lady Eli. Also among the nominees are Dickinson, winner of this spring’s Jenny Wiley (G1) at Keeneland over Lady Eli, and Group 1 winner Roly Poly, one of five Aidan O’Brien nominees to the race. The Grade 1 stakes action begins Friday, Oct. 6, with the 66th running of the $400,000 Darley Alcibiades (G1) for 2-year-old fillies going 1 1/16 miles on the dirt. A Win and You’re In race for the $2 million 14 Hands Winery Breeders’ Cup Juvenile Fillies (G1), the Darley Alcibiades drew 33 nominations headed by Lady Ivanka and Maya Malibu, the 1-2 finishers in the Spinaway (G1), and Patrona Margarita, Kelly’s Humor and Sunny Skies, the 1-2-3 finishers in the Pocahontas (G2) at the Darley Alcibiades distance. $2 million Sentient Jet Breeders’ Cup Juvenile (G1). Included among the nominations is Robert Baker and William Mack’s Sporting Chance. Trained by six-time Breeders’ Futurity winner D. Wayne Lukas, Sporting Chance is a 2016 Keeneland September Yearling Sale graduate and winner of the Hopeful (G1) at Saratoga in his most recent start. Other nominees include Free Drop Billy and Givemeaminit, the 2-3 finishers in the Hopeful; The Tabulator, winner of the Iroquois (G3) and Dak Attack, winner of the Ellis Park Juvenile. The fifth Grade 1 event of Falls Stars Weekend is the 62nd running of the $500,000 Juddmonte Spinster for fillies and mares going 1 1/8 miles on the main track. Scheduled for Sunday, Oct. 8, the Juddmonte Spinster is a Win and You’re In race for the $2 million Breeders’ Cup Distaff (G1). A total of 26 fillies and mares are nominated to the Juddmonte Spinster, including Grade 1 winners Big World and Elate. Kicking off Fall Stars Weekend on Oct. 6 is the 165th running of the $250,000 Stoll Keenon Ogden Phoenix (G2), a six-furlong test that is a Win and You’re In race for the $1.5 million TwinSpires Breeders’ Cup Sprint (G1). Heading the list of 21 nominees is Limousine Liberal, who was beaten a nose by A. P. Indian in the 2016 running. Other nominees of note are multiple graded stakes winner Whitmore; Roy H, winner of the True North (G2); and Favorite Tale, the third-place finisher in the TwinSpires Breeders’ Cup Sprint in 2015 at Keeneland. 6 furlongs on the dirt attracted 29 nominations headed by Paulassilverlining, winner of the Madison (G1) in April at Keeneland. Scheduled for Oct. 7, the Thoroughbred Club of America is a Win and You’re In race for the $1 million Breeders’ Cup Filly and Mare Sprint (G1). Also scheduled for Oct. 7 is the 21st running of the $200,000 Woodford (G2) Presented by Keeneland Select for 3-year-olds and up going 5½ furlongs on the turf. Among the 25 nominations to the race, upgraded for 2017, is 2016 winner Mongolian Saturday, who could become the fourth repeat winner of the race, and the 3-year-old filly Lady Aurelia, a two-time Group 1 winner in Europe who was Europe’s champion 2-year-old filly and won this spring’s Giant’s Causeway at Keeneland. Among the other nominees are Holding Gold, winner of the Shakertown (G2) at Keeneland this spring, and Hogy, Commend and millionaire Undrafted, the 1-2-3 finishers in the Kentucky Downs Turf Sprint (G3). Completing the Fall Stars Weekend lineup on Oct. 8 is the 27th running of the $250,000 Dixiana Bourbon (G3) for 2-year-olds going 1 1/16 miles on the turf. The race, a Win and You’re In test for the $1 million Breeders’ Cup Juvenile Turf (G1), drew 45 nominations that include Catholic Boy, winner of the With Anticipation (G3), plus grass stakes winners Budro Talking, Hemp Hemp Hooray, Snapper Sinclair and Therapist. On Saturday, Oct. 7, from 5-6 p.m. ET, the $1 million Shadwell Turf Mile (G1) and $500,000 Claiborne Breeders’ Futurity will air on NBC along with the Jockey Club Gold Cup (G1) at Belmont Park. On Sunday, Oct. 8, NBC Sports Network will broadcast the $500,000 Juddmonte Spinster and $250,000 Dixiana Bourbon from 5-6 p.m.
For more than 80 years, the Keeneland Association has devoted itself to the health and vibrancy of the Thoroughbred industry. As the world&apos;s largest Thoroughbred auction company, Keeneland conducts sales every January, September and November. Its sales graduates dominate racing across the globe at every level. In April and October, Keeneland offers some of the highest caliber and richest Thoroughbred racing in the world. In 2015, Keeneland hosted the Breeders’ Cup World Championships. Uniquely structured, Keeneland is a private, for-profit corporation that returns its earnings to the industry and the community in the form of higher purses, and it has donated millions of dollars in charitable contributions for education, research and health and human services throughout Central Kentucky. 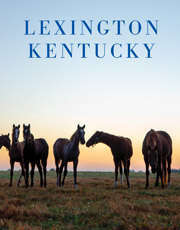 To learn more about Keeneland, visit Keeneland.com.